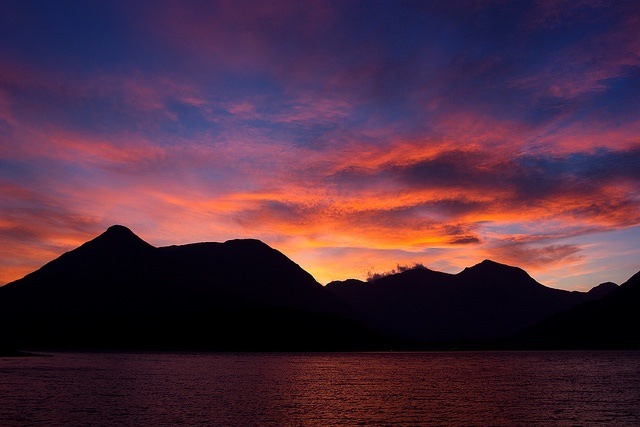 How about planning a Spring or Easter escape to your very own Highland haven? As a 5 star hotel, Glencoe House, offers elegant but relaxed and sumptuous suites with the space and privacy to really kick your shoes off and unwind. Don’t take our word for it, our guests have rated Glencoe House as one of Scotland’s top five hotels on Tripadvisor. These short breaks will leave you relaxed, recharged and ready to face the world again! 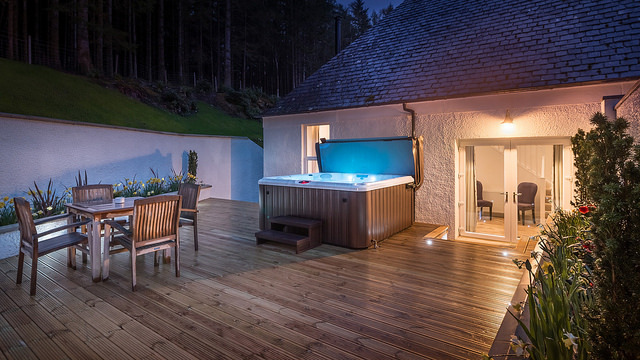 Who doesn’t want to sit in the hot tub in the evening star gazing or sit beside a roaring wood burning stove with a glass of whisky in your hand? Treat yourself to one of Glencoe House’s new Bell Tower Suites for the ultimate indulgent getaway. The Bell Tower Suites at Glencoe House reside in a characterful building located just 50 metres from the mansion house. The Bell Tower Suites are one-bedroom suites where the ground floor comprises a comfortable sitting room with a wood-burning stove, a fully equipped kitchen complete with AGA-oven and a luxurious bathroom with Aveda toiletries. An elegant staircase takes you to the first floor mezzanine that contains a peaceful bedroom. Each suite also enjoys the luxury of a private walled garden with hot tub. Book directly either by email (reservations@glencoe-house.com) or by telephone on +44(0)1855-811179. From £295 for one night (incl. VAT) in a Bell Tower Suite including full Scottish breakfast served in The Great Hall of Glencoe House. Dinner served in The Great Hall of Glencoe House is required to be taken to be eligible for this offer. Please advise your preferred dining time when you are making your booking. Suites will be allocated on a first come first serve basis. The promotion is based on availability and is valid from 11th February 2019 – 30th April 2019. The offer is valid any day of the week. The offer is fully pre-payable at the time of booking, non-refundable and non-amendable. Maximum occupancy is 2 guests per suite (twin beds are not possible). No children, no pets and no extra beds are allowed. If maximum occupancy is exceeded, we reserve the right to turn guests away or charge the full best available rate. 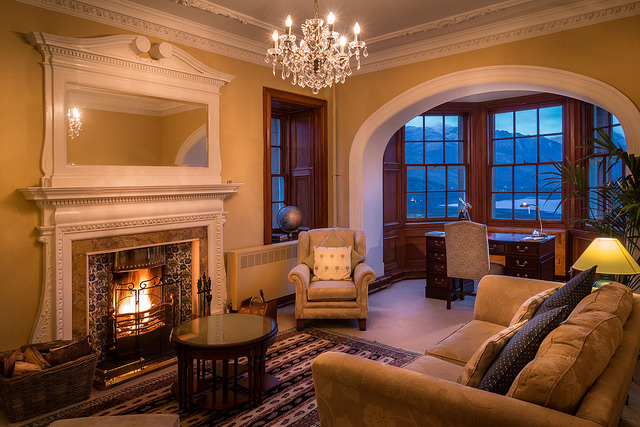 Why not be Lord and Lady for a night in the Glencoe House Suites, which are situated in the mansion house, where you effectively occupy your own wing of the historic building and enjoy panoramic sea and mountain vistas. One or two-bedroom suites are available in Glencoe House itself all boasting lavish bathrooms and a substantial sitting room, which encompasses an array of period features and the luxury of your own open fire, together with the convenience of 21st Century technology. Breakfast and a candle lit five-course dinner are served at your private dining room table located in your suite. Dress up or dress down – the choice is yours – but you will enjoy an elegant restaurant experience but without fellow diners. Book directly either by email (reservations@glencoe-house.com) or by telephone +44(0)-1855-811179. From £375 for one night incl. VAT in a Glencoe House Suite including full Scottish in-suite served breakfast. Dinner served in the privacy of your suite is required to be taken to be eligible for this offer. The offer is fully pre-payable at the time of booking, non-refundable and non-amendable. Maximum occupancy is 2 guests per suite. No children, no pets and no extra beds are allowed. If maximum occupancy is exceeded, we reserve the right to turn guests away or charge the full best available rate.